The Popsicles in the stores are mostly just frozen sugar water with some colorful dyes. Its really simple to make your own with real fruit. Place all ingredients in a high powered blender and blend well. 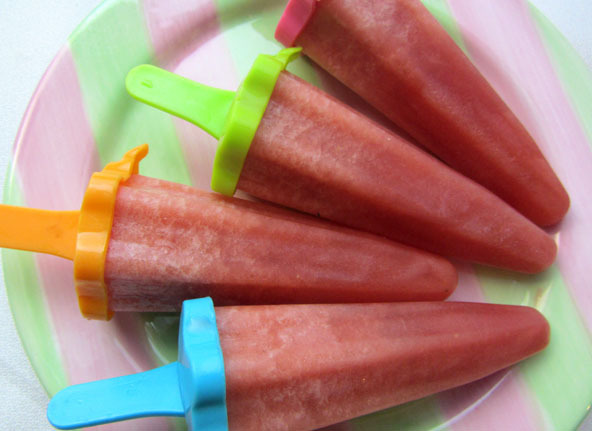 Pour into popsicle molds and freeze for six plus hours until hard. Pour warm water over the molds to get them to release from the molds.